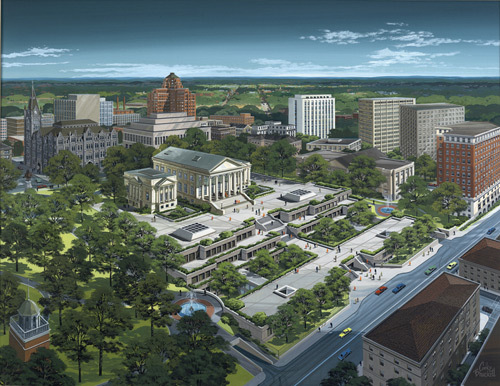 Aerial Perspective of Proposed Redesign of Capitol Square, Richmond. Cooke Brackett. Ca. 1973. General Assembly, House of Delegates, Acc. 36478. Library of Virginia.